The article is published in newspaper Kalajokilaakso. Lake Kekajärvi in Ylivieska, Finland is currently being restored. One could say” finally”, since the project with its different stages has been pending for 25 years. Pontoon excavator started working last week. It began to remove floating peat raft. The project will continue until the end of the year, because the peat raft has spread on a 4400 m² area. According to a measurement with the excavator bucket,the thickness of peat raft is one meter. The bottom of the lake is five meters deep, but the lowest two meters consist of sludge. 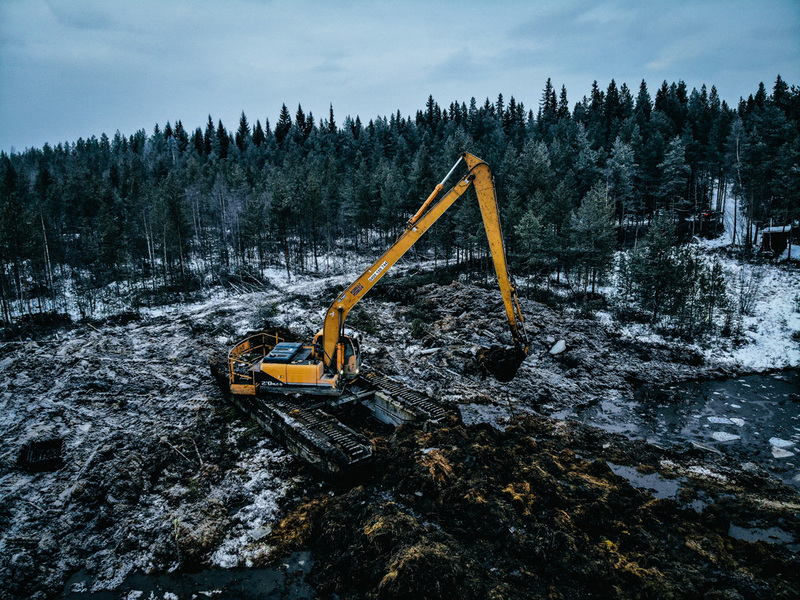 Laura Liuska, the Environmental Inspector of Ylivieska City, tells that now the focus is to remove the biomass and hope it improves the condition of the lake. In addition, fluctuations of water level will be minimized by building a submerged dam. 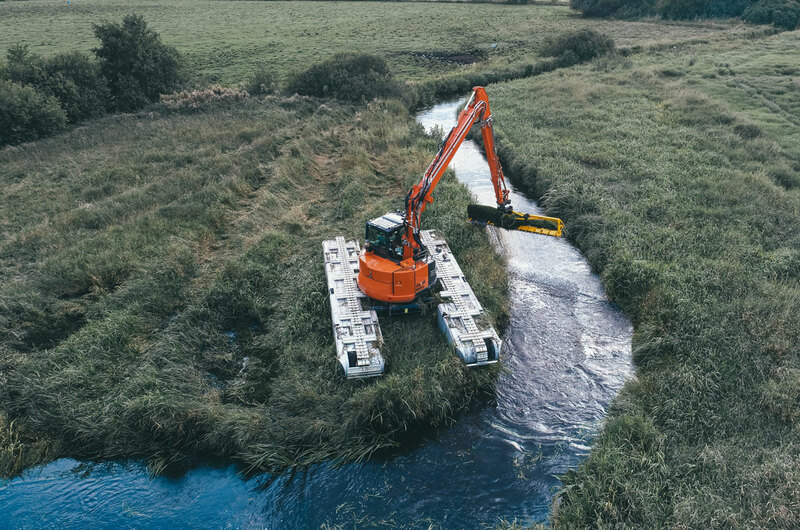 The Foreman on the job side, Planning Biologist Juha Siekkinen from Kosteikkomaailma says that by using this pontoon excavator they are aiming to remove two peat islands from the northern site of the lake and remove water lilies with roots. Peat mass is heaped on the northern shore line of the lake. “Kekajärvi is ecologically vulnerable area. Its drainage basin is only 44 hectares.” Siekkinen ponders. At least three more cottage owners are willing to rent this pontoon excavator to restore their own shore line. They want to take advantage of the presence of such special equipment. 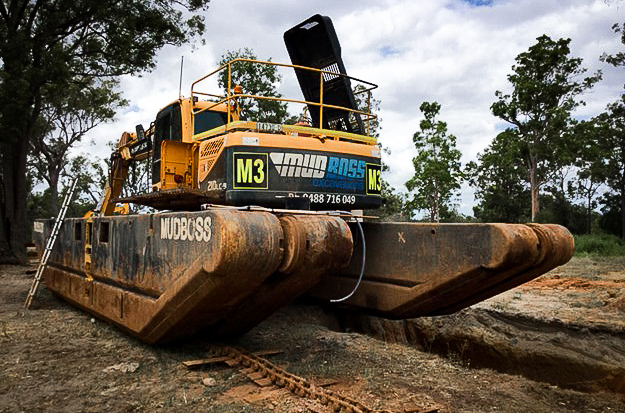 This excavator can move around independently and move peat out of the lake safely. The machine weighs over 30 tons and without pontoons it would require at least 50 cm of ice, now the thickness of ice is 15 cm. This kind of work couldn’t be conducted without such special machinery. Proper icecap isn’t guaranteed on the winters nowadays,Liuska comments. Pontoon excavator is operated by Ruoppaustiimi Oy from Ähtäri. 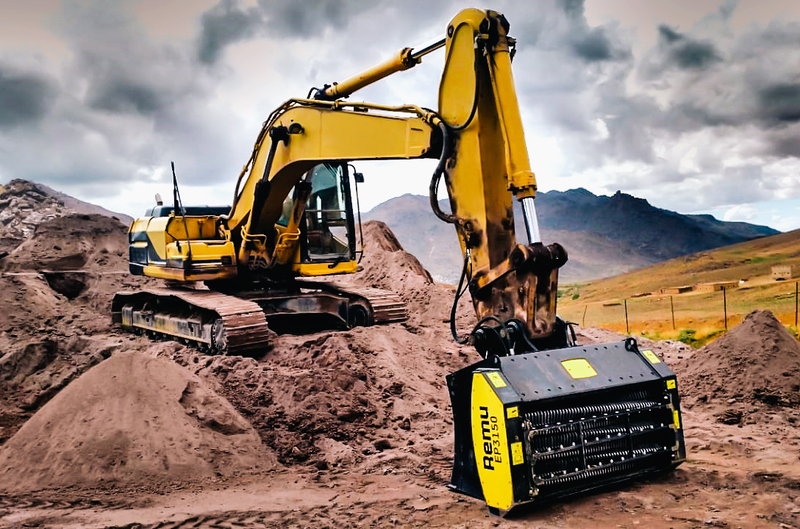 The company has operated these machines also in Finnish archipelago,where those have been driven for approximately two-kilometer distances. Work will be continued by building the submerged dam.That part of project won’t require special machinery, just a standard excavator. Dam building is planned to start as soon as possible. Planks made of larch have already been ordered. Ground work for the dam will be ready bit after new year. After building the dam, the monitoring of water quality will be continued. According to winter swimmers, nothing abnormal has been noticed in the quality of water by now, Laura Liuska tells. Approximate cost of lake Kekajärvi restoration is 45 000€. Cost will be split in half between the city of Ylivieska and the Centre for Economic Development, Transport and the Environment. Lake Kekajärvi is an important recreational area for people of Ylivieska, Liuska points out.